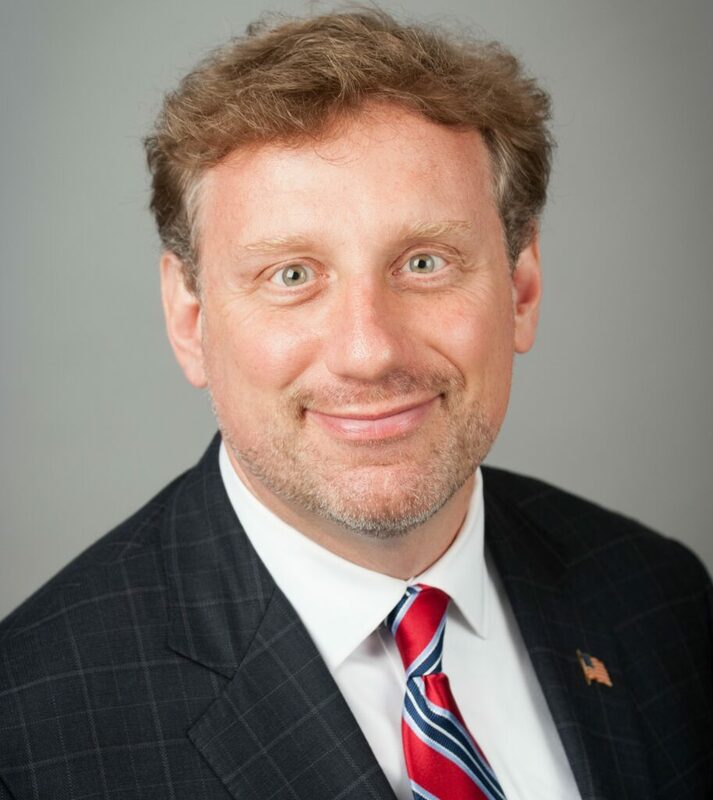 University of St. Thomas School of Law professor Mark Osler. Those of us who have grown up attending church can recall at least a few familiar Biblical passages. For attorney and law professor Mark Osler, these passages have guided his life. In 2011, he was a federal prosecutor in Detroit. His job was to send those accused of dealing, or even possessing, crack cocaine to prison, sometimes for life. Under the law, those with crack, usually African Americans, faced sentences 100 times greater than those, mostly Whites, with powder cocaine. 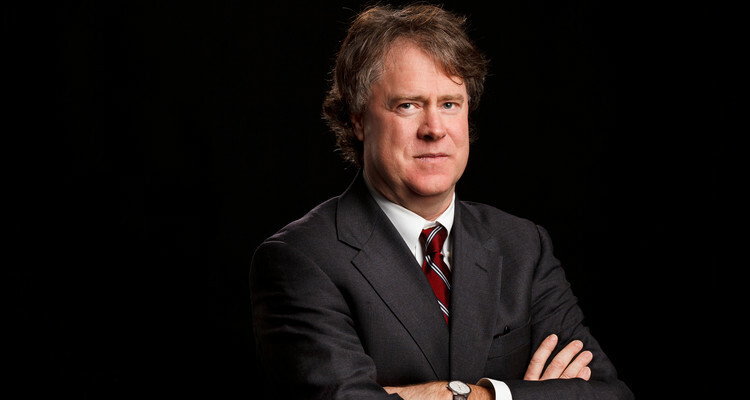 Osler resigned his position and took a teaching job at Baylor Law School, where he and legal colleagues successfully challenged the 100 to 1 crack-to-powder disparity. In 2011, he moved to St. Thomas Law School in Minneapolis and founded the first law school clemency clinic in the United States. He was instrumental in the creation of the Clemency Initiative at the end of President Obama’s second term. Osler’s work continues to attract national attention. Last week he spoke with Clergy for a New Drug Policy about the Obama Clemency Initiative and prospects for clemency under the Trump administration. Q: Of the 1,715 individuals who received clemency under the Obama Clemency Initiative, how many of their convictions were in some way related to the draconian laws of the War on Drugs? A: Nearly all of them. Q: In light of this, what changes would you propose in our drug laws? A: I would argue for changes in our tactics and strategy, as well as in our drug laws. One of the biggest drivers of unfair sentences is that we use the weight of the drugs at issue as a proxy for culpability. That’s just wrong. If I hire somebody for $500 plus expenses to go down to Laredo and pick up some kilos of methamphetamine, I’m going to make tens of thousands of dollars once I sell those kilos. If we both get arrested, we are going to face the same sentence because we’re involved in the same activity. But we are not equally culpable, or anything close to it. We should not be addressing people at all. When it comes to interdiction, the most we can hope for because of the laws of economics is to marginally and temporarily raise the street price of drugs. It’s supply and demand. As long as the demand is there the supply is going come back. Labor is especially easily replaced. What they should go after is the cash flow because you’re never going to close down a business by sweeping up low wage labor but you can close down a business by denying them cash flow and credit. The FBI have become real experts at grabbing money going back to terrorist groups. We can apply that expertise to narcotics, and shut them down that way. This would demonstrate a whole new model: The guy who’s selling crack isn’t going to be in prison, he’s just not going have that job anymore. Q: Concerning drug laws, I thought you would say that we need to get rid of mandatory minimums and three strikes. A: Absolutely. The First Step Act is starting to move towards that. Q: If we had proportionate, fair sentencing laws, would we still need clemency? A: You wouldn’t need it as much, but we would still need clemency to take into account people who received long sentences, even if they had serious involvement in narcotics or other crimes, who have changed their lives, who aren’t the same person. You take Rudy Martinez. That was not a case where someone got racked up for a minor role. He was transporting a lot of cocaine, but the person he was when he did that is fundamentally different than the person he is now. That idea of redemption is that there can be a transformation in a person’s life. You would always need clemency to account for those people whose lives have changed, whose souls, and hearts, and minds, are different. Q: How does that argument apply to the hardest core crimes? Let’s take first degree murder. No matter how repentant, no matter how much one changes, isn’t there degree of retribution needed for some crimes? A: Certainly there is a role for societal retribution. It helps to avoid vigilantism. As long as people are assured that the state is going to take an approach that ensures punishment, they are not going take action into their own hands. But, even for the worst crimes, we can’t rule out the possibility of redemption. King David was a murderer. Paul was a murderer in a conspiracy. They were redeemable. They were given a role. We visit those in prison with the goal of there being a role, a vocation, even for those people who have done terrible things. Q: The Obama Clemency Initiative chose to look only at individuals on a case-by-case basis. Are there categories he could have used? For example, the ACLU report A Living Death argues that we should review all non-violent offenders who have been given life sentences without parole. A: You could look at people who received really long sentences before they were 22 years old. We know the brain science which tells us how much people change after that age. We are not serving public safety by spending millions of dollars to incarcerate those people. Q: Mark Mauer of The Sentencing Project has argued for no sentences longer than 20 years. A: I don’t think that’s politically feasible. We’re a long way from that. There’s an ongoing argument within the advocacy community: Do you go for incremental changes, or do you try to have everything change right now? Even the briefest analysis of our political history will tell you that everything’s incremental. That’s how things change. Look at the civil rights movement. There wasn’t a before and after. There was a movement toward what’s better. It’s that gradual arc towards justice. Q: Are there other nations with better drug laws? A: Portugal is a reasonable model to look at. It has decriminalized all drugs. But they also have treatment on demand. One thing that we have to take into account is that the United States is a much greater consumer of narcotics than a nation like Portugal. Our usage rates outstrip those of any other country. The social costs are significant. Most of us know someone who is consumed by opioids and the tragedy that goes with that. We’re going to have to put more resources towards treatment, for example, than a country with a lower rate of consumption. Q: Why do we consume so much more? A: I think it’s in part because of our individualism. We all believe that our lives have to be significant, important, and exciting. Drugs do that. In the same way that Americans all want to be on television, we all want to see things in an exciting way. Selling or doing drugs provides that. Q: What is your assessment of the First Step Act brought forward and passed under the Trump Administration? A: I wrote a piece in the Minneapolis Star Tribune supporting it. A: I think that there is some real opportunity in this administration. In the past, the bar to reform has consistently been the Department of Justice. Politicians and presidents tend to defer to DOJ. This President does not. This brings a remarkable opportunity We saw that with the First Step Act. The First Step Act includes a lot of things we did not get from the Obama Administration, and the reason was because DOJ said, “Don’t do that.” Well, Donald Trump doesn’t care what DOJ thinks. On that score, we’re better off. Also, there is a remarkable advocate for reform within the inner circle of this White House. That’s Jared Kushner. Because of the experience of his family due the incarceration of his father, I think he’s really motivated to take action in this area. The third thing is that Attorney General Barr is a believer in the unitary executive theory: the president has to re-claim from the bureaucracy the power that is given to him or her by the Constitution. This is completely consistent with our argument on clemency: the president has to claim that power and take it back from DOJ. Q: Our discussion thus far pertains to the 181,000 people in the federal prisons system. This is a small percentage of the over 2.1 million individuals in state prisons and jails. Is there anything federally that can affect what happens in the states? A: Not directly. But hopefully, we will see some “leading by example.” It helps that there are some conservative Republicans leading the charge at the national level. This gives conservatives at the state level permission to do the same thing. When you’ve got Senator Mike Lee and the Koch Foundation arguing for this, it sends a signal to the states. Harsh punishment across the board is no longer entirely a core Republican belief. That’s a game changer. Q: In the introduction, we commented on your Christian faith. Are there other scripture passages that have guided your work? Micah 6:8 is common to a lot of people. I remember first coming across that when I was a prosecutor. On the surface, it seems almost glib. You have three values: justice, mercy, and humility. They are all good, but in criminal law they are in tension with one another. If justice is viewed as treating similarly situated people the same way, it’s fairness.Mercy cuts into that. In a way, it is an argument for unfairness. What we learn is that the criminal justice system can’t be all mercy or all justice. It has to have aspects of both if it’s going to be principled. Our tendency in the United States is to have all justice and no mercy. The active push from people who take those principles seriously has to be towards mercy because we are too far towards the other pole. We also need to learn humility. Consider juvenile life without parole. We are saying someone is irredeemable. We are playing God when we have such certainty about something that is ultimately unknowable, namely the chance of redemption for someone we barely know. Christ also told us, “When you visit those in prison, you visit me.” This is transformative for me. There is an imperative to visit all those in prison, not just innocent people, not political prisoners, not our friends, but all those who are in prison. The power of that directive is shrouded until people actually do it. I have students who have generally had fairly privileged lives. My clinic students are required to go a prison and spend two days with a client. They come back transformed. Taking down someone’s life story as they sit in a cell is something that alters the way they see the world. That is exactly what Jesus is after when he tells us to visit those in prison. Finally, those of us who are Christian usually believe Jesus’ life wasn’t just a series of random events. He was born into poverty so that we would understand the importance of poverty and that great things can come from poor people. For that same reason, so much of what happens to Jesus, especially during the Holy Week, is about criminal law, being judged, being condemned, being convicted, and being executed. We are being told that this is important. The way we judge and sentence is crucial to the Christian mission just as the way we address poverty is important. Q: What would you say to Jeff Sessions about clemency? Having a common faith with people is an advantage because we are starting from the same place. I often talk to people about the need to go to conservative Christians to talk about these things because If we can convince them, we win. Last month, Clergy for a New Drug Policy partnered with Unbound, an online journal and community that examines, expresses, and provokes social justice as inspired by the prophetic gospel of Jesus Christ. Policy Director Tom Houseman wrote about how the War on Drugs tears apart families and undermines communities. With their permission, the full piece is reprinted below. It can also be read here. Drug use is often framed as a personal issue, one of choices and consequences. “Do the crime, do the time.” Supposedly, harsh penalties aim to reduce irresponsible use of drugs. In reality, however, the War on Drugs has not succeeded in “protecting individuals” from their own choices. Instead, it has systematically incarcerated people of color (especially Black Americans) and devastated the family structures of entire communities. 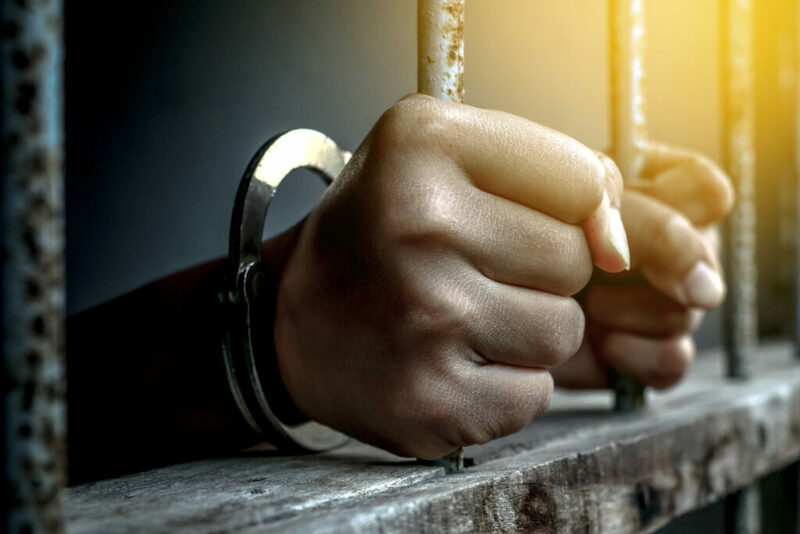 When considering the punishment for a drug violation, whether it is prison, probation, or mandated treatment, we tend to only think about the impact that a conviction will have on an individual. Far too rarely is the impact on their families and their dependents considered. After the investment of over $1 trillion dollars, drugs are as plentiful as ever, with seemingly little impact on drug use rates. While failing to win the war, we have, as Michelle Alexander tells us in The New Jim Crow, found a new way to enslave people of color. We send them disproportionately to prison for even minor drug offenses. At current rates of arrest, one out of every three African American males born today will spend time in prison. Approximately 2.7 million children have at least one incarcerated parent and over 10 million have lost a parent to prison at some point in their lives. (These figures affect 1 in 9 African Americans, compared to 1 in 57 White children. The War on Drugs is a major driver of these disparities. Drug policies have had far more negative impact in terms of social justice, of family justice, than they have had any sort of impact on drug consumption and abuse. Urban neighborhoods have been ravaged by mass incarceration, leaving young men to rely on gangs for support, protection, and economic opportunities. The people in prison for drug violations are not just people with drug use disorders or who had to sell drugs because they lacked any other source of income. They are heads of households, breadwinners for families, caretakers for children. Their prison sentences do not operate inside a vacuum, but have consequences that last for generations. And children do not choose to grow up with their parent incarcerated. When examining the War on Drugs, it is also crucial to acknowledge how unevenly these laws are enforced. Black people are multiple times more likely to be arrested for drug possession than White people, despite the fact that countless surveys show the two groups use drugs at the same rate. Black people also receive lengthier prison sentences than White people for identical violations. Families of color and those living in poverty are over-policed and over-imprisoned. They are also the most vulnerable to the damage that a prison sentence can do to a family when it loses a breadwinner or a caretaker. Whether prisons are merely meant to serve as a form of punishment or to help rehabilitate those who enter them, it is crucial to understand the ramifications of removing somebody from their family and community and placing them behind bars. Several studies have documented the impact of incarceration on families, both in the short term and long term. In their essay, “Incarceration in Fragile Families,” Christoper Wildeman and Bruce Western write about how imprisonment “diminishes the earnings of adult men, compromises their health, reduces familial resources, and contributes to family breakup.” This effect is particularly acute for families already living in poverty. Putting a parent in prison not only takes them away from their children, but impacts their ability to provide structure and support for their long after they have served their sentence. Growing up with a parent in prison has profound, long-lasting effects on children. In a report from The Nation, Sociology professor Kristin Turney detailed how “children with incarcerated parents were three times more likely to suffer from depression or behavioral problems, and twice as likely to suffer from learning disabilities and anxiety.” It is not surprising that students who have at least one prison in parent are more likely also less likely to finish high school or go to college. These negative effects last even after a person is released from prison. Those with felony convictions are often barred from housing assistance, federal loans for education, and safety net programs such as the Supplemental Nutrition Assistance Program. In states that do not prevent employers from asking about felony convictions, even a conviction for non-violent drug possession can make it almost impossible to find a job or housing. In Paternal Incarceration and Support for Children in Fragile Families, Amanda Geller, Irwin Garfinkel and Bruce Western examine how “the negative effects of incarceration on fathers’ financial support are due not only to the low earnings of formerly incarcerated men but also to their increased likelihood to live apart from their children.” When a parent is not present—or not able to support their children—because of a drug conviction, the effect is deeply damaging. There are other collateral consequences of drug violations that can impact the family of people who are caught possessing or selling drugs. Considering that there is a drastic public housing shortage in the United States, it is very easy for someone to be disqualified from public housing, or even evicted, because of a family member with a drug conviction. For example, In 2002 nearly 50,000 public housing applicants were rejected because of a policy that excludes people with criminal records from public housing. There are no winners in the War on Drugs, but there are millions of victims. That number will only grow until these policies are changed. The War on Drugs has failed. Both for the sake of the families already torn apart and for those that will be torn apart in the future, we must end the war. We are reaping the consequence of what our nation has sown. And although we cannot choose to unilaterally end drug abuse, it is our choice to end the needless suffering of America’s “Other Vietnam”. 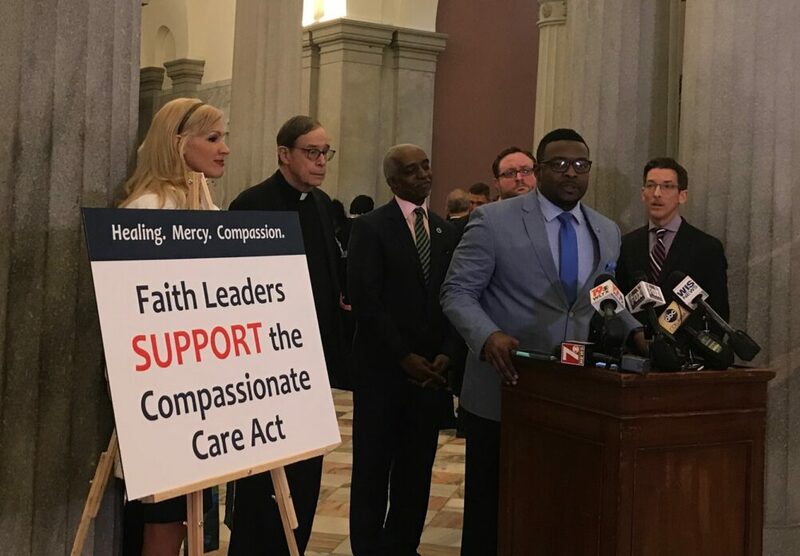 On Wednesday, March 20, more than a dozen Christian, Jewish, and Islamic clergy voiced their support of legislation to legalize medical marijuana in South Carolina. Four spoke at press conference, joined by Rev. Alexander Sharp of Clergy for a New Drug Policy. Here are their press conference statements. The South Carolina Compassionate Care Act (S-366) is expected to be taken up by the state senate within the next several days. “I come to Columbia this morning to stand with my interfaith colleagues in support of the Compassionate Care Act, which will help those who are suffering with chronic and terminal illnesses. I’m here because my faith compels me to care for the suffering. In my seventeen years in congregational ministry, I’ve been present to many suffering with illness. My vocation before church work was that of professional hospital chaplain and bioethicist. In that work I was often at the bedside of someone who was dying, and I worked closely with their doctors and families as we tried to ease their physical and emotional pain. In that work I almost always saw the best in people. Regardless of our many differences, we always came together in the hospital to care for someone and do everything we could to help. And that’s what the Compassionate Care Act does. It brings us together across the lines of faith and partisanship that too often divide us to do something to help each other. I dare say that in these polarized times a bill like this is good medicine for us all. It shows that we can still work together to make a difference. And have no doubt, this bill will make a difference. If we work together to pass it then real people will suffer less. With access to medical cannabis under the direction of their doctors, real South Carolinians will have less pain. Some have suggested that those of us who support this bill have been put up to it somehow, or there are, perhaps, some special groups or secret interests are behind it. But I would like to say very clearly that no one has put me up to this. I traveled to Columbia today to speak for myself about an issue that effects many who suffer with chronic and terminal illness. I am here because I believe the act is aptly named and really is about compassionate care. I’m here because my Christian faith taught me the Golden Rule, that we should treat others in the way that we would want to be treated ourselves. And all of us, were we in pain, would want to have our pain addressed and managed by our doctors. Most South Carolinians, I think, understand the Golden Rule. According to a benchmark research poll taken last December, 72% of us support medical cannabis. This may explain why the bill is bipartisan and why representatives of such diverse faith traditions stand together in support of it. We know that we should care for those who are suffering. Before I close I would like to tell you why I am really here, why this issue cuts close to home for me, and why I am grateful to all who have worked so hard to bring the Compassionate Care Act to South Carolina. When I was in college my father was diagnosed with cancer, and I left school for a time to return home and help my mother take care of him. He became a hospice patient in our home, and I remember the doctors and the nurses working so hard to help us manage his pain, which grew worse and worse over time. It was incredibly difficult to see someone we loved so much in so much pain. In my father’s case we relied on morphine, not cannabis, yet under the supervision of his doctors, the medication was able to ease his pain enough that he could rest. Friends visited. Family sat by his bedside. Everyone came together to help, and we created a place for him that was loving and dignified. “When we look at the name of this bill, Compassionate Care Act, there could not have been any better name given to it. For, indeed, we should as a civilization, as well as humanity and legislators, always teach ourselves to care for others and have compassion. When we look to the Christian scriptures, Jesus’ example is very clear. Not only does it say “blessed are the merciful, for they shall receive mercy,” but at every miracle and every turn of Him engaging and caring for the lives of those that he so dramatically changed, the scriptures read that He had compassion. And in this day and age, where we really need to be our brother and our sister’s keeper, when we have individuals who have illnesses that debilitate them, illnesses that are terminal, illnesses that reduce their quality of life, let alone their quantity of life, we must have compassion. And so, as we look to pass this legislation, I want you to think about if it were your family member that was suffering, if it were your family member that was in debilitating pain and there was something within your means to care for them, then you would, by all means, have compassion. “In the book of Exodus, God tells Moses, “I’ve heard the cry of my people, I will save them with an outstretched hand.” We are made in the image of God, and being made in the image of God we have the opportunity to extend our hand, too, in compassion, in love. We have the opportunity to lift up the fallen. That’s what the Compassionate Care Act can do. It can lift up those in pain. It can lift up those who are suffering and provide them the relief they need. It’s not a “can we do it, it’s a must.” We must do it. “On almost a daily basis I know of friends who are suffering from chronic pain, whereas if they take prescribed medicines that they have now, it would have them all discombobulated, addicted, particularly our veterans. They do not take the medicine. They walk around or they cannot walk around because of the excruciating pain that has grabbed their body. Medical cannabis is an alternative for the opioids, and it’s an alternative to pain. Alternative, another option, just as you would go to the store and get Aleve or Excedrin, why is it or why can’t an individual who are suffering from pain not have an option, as well? This bill gives relief to those who are hurting. Not only does it relieve the sufferer, but it also helps to relieve the caregiver. Sometimes miss that point: the caregivers, who see their family member suffer because they do not have the medication that would give them relief. What kind of state or what kind of country is this? We have the assistance, the medication, have the know-how to provide relief for its people and we refuse to do so. “Clergy for a New Drug Policy seeks a health, not punishment, response to drug use. I am delighted to be here with a genuinely interfaith, interracial gathering on behalf of this bill. If you look at the folks who are supporting and signing on, you will find Christian, Jewish, and Islamic voices coming together for all the reasons that you’ve heard. I’d like to support what has been said, but, perhaps, not been said clearly enough. Scientific evidence supports this bill. That is not in doubt. If you can oppose this bill you maybe have your private, somewhat, cramped reasons for doing so, but you can’t oppose it because there isn’t scientific evidence. In my state, we have passed a bill that provides medical cannabis as a substitute for opioids. Think of that. In the midst of an opioid crisis, a response that is less expensive, has less side effects, and relieves pain. Rev. Howard Moody in front of Judson Memorial Church Circa 1965. Every generation has its icons. When it comes to drug policy the Rev. Howard Moody belongs at the top of our list. 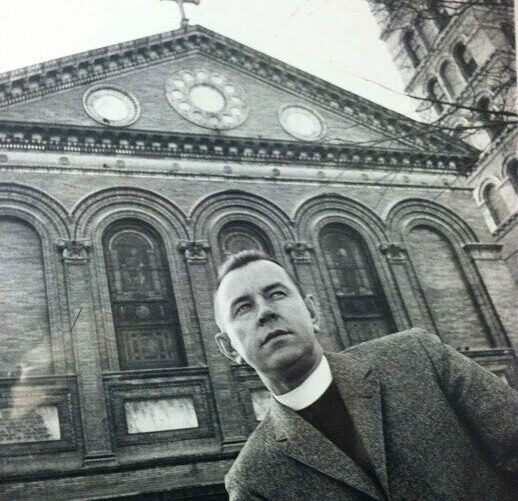 As pastor of Judson Memorial Church in New York’s Greenwich Village from 1957 through 1992, he opposed the War on Drugs even before Richard Nixon declared it. When most in society responded to drug addicts—then called “junkies”—as modern-day lepers, Rev. Moody embraced them. He founded the first drug treatment clinic in Greenwich Village. He called out a society that to this day condemns as criminals those who use drugs. We know—above all else—that criminalizing drug use is immoral. As we work to end the War on Drugs, lost long ago (although its bureaucratic generals in Washington D.C. do not recognize this), we can learn and be guided by insights Howard Moody gave us. The following texts are excerpted from sermons, from a book, and from articles published in the journal Christianity and Crisis. “Of course addiction leads to crime because we have made it illegal to carry or use the drug. I wonder if the diabetic who was deprived of insulin and had to acquire the next shot illegally would seem any less a criminal type in the extent to which he might go in acquiring it. “The trouble with most of our policy in the past 15 to 20 years is that it has not recognized that control, prevention, and treatment cannot be dealt with separately…Every attempt to isolate a human problem from the social milieu that produces it and nurtures it is doomed to failure. I wish to thank Abigail Hastings, long-time friend and parishioner of Rev. Moody, for compiling this material.